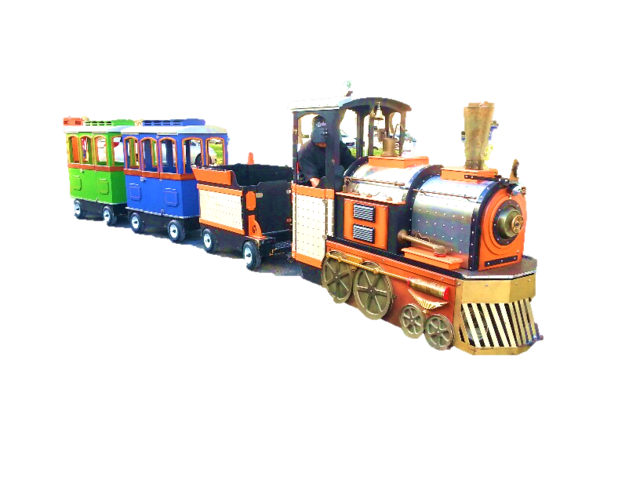 WOW Jolly Jumps Electric Trackless Train is an excellent addition to kids birthday parties, festivals or any other fun event. So "All Aboard" this wonderful trackless train ride, where kids can be kids and adults can be kids again too. It carries up to 10-24 kids and adults. With exceptional handling both indoors and out, it is capable of 18 foot turns and can be driven on a flat asphalt or pavement surface. 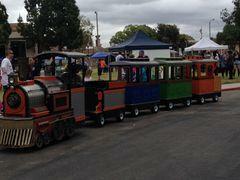 The rental comes complete with a conductor to drive and operate the train, for the duration of your event. $450 for the first 2 hours and $125 per additional hour.